A Simple, yet Unique Fun Design. -UColor Customization. Open Settings Menu to Change Colors. 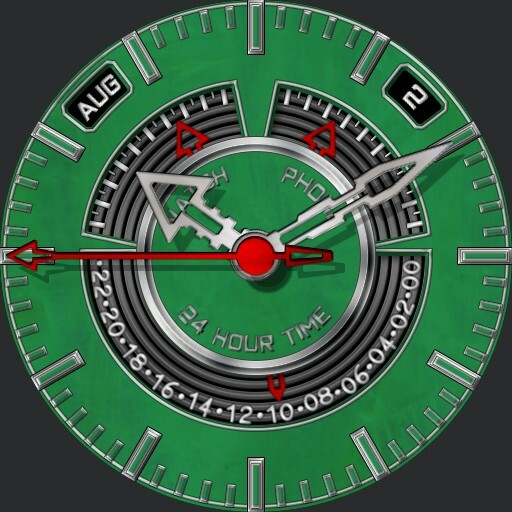 -24 Hour Time - Bottom Dial.